It has been a long time since I have posted in my Masters of Furniture series. Way too long! These are some of my favourite posts to write. 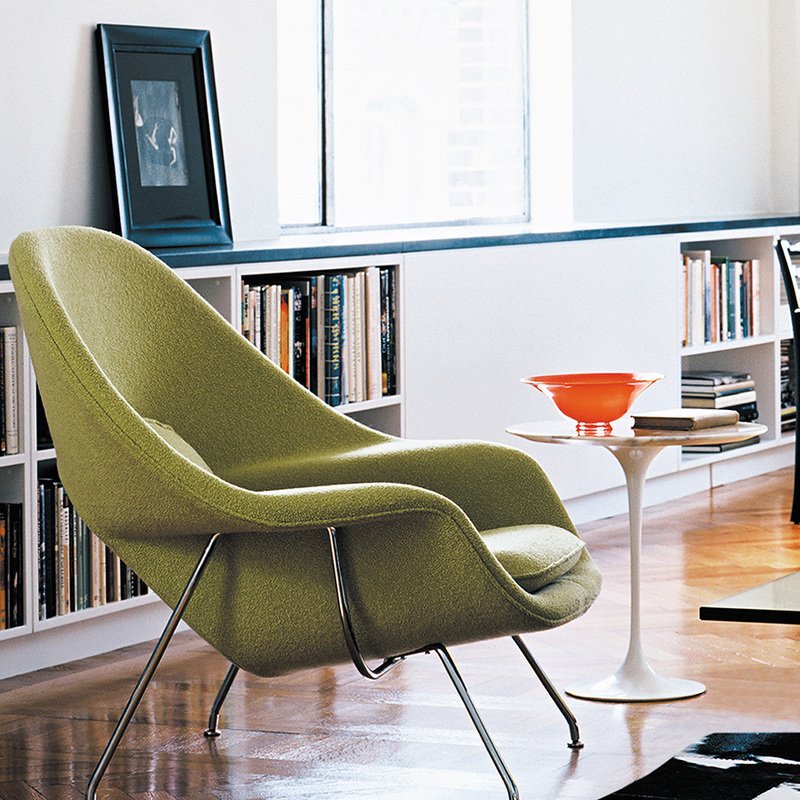 I love learning about the history of design and delving into the lives of these design icons. 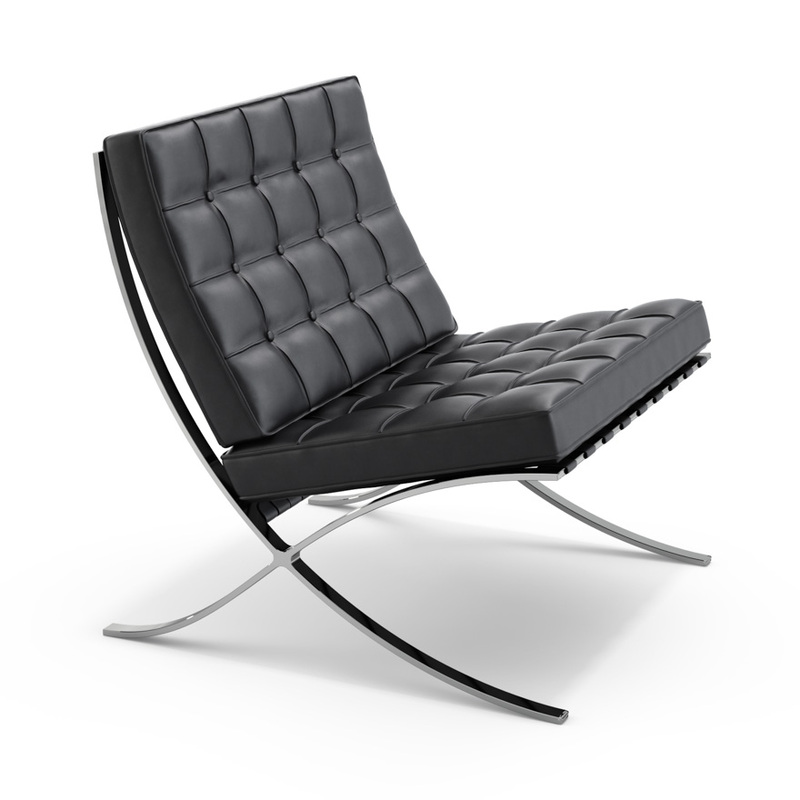 Today I’m featuring Ludwig Mies van der Rohe, German-American architect and furniture designer. Ludwig Mies van der Rohe was born in Germany, and remained there for the first half of his career. 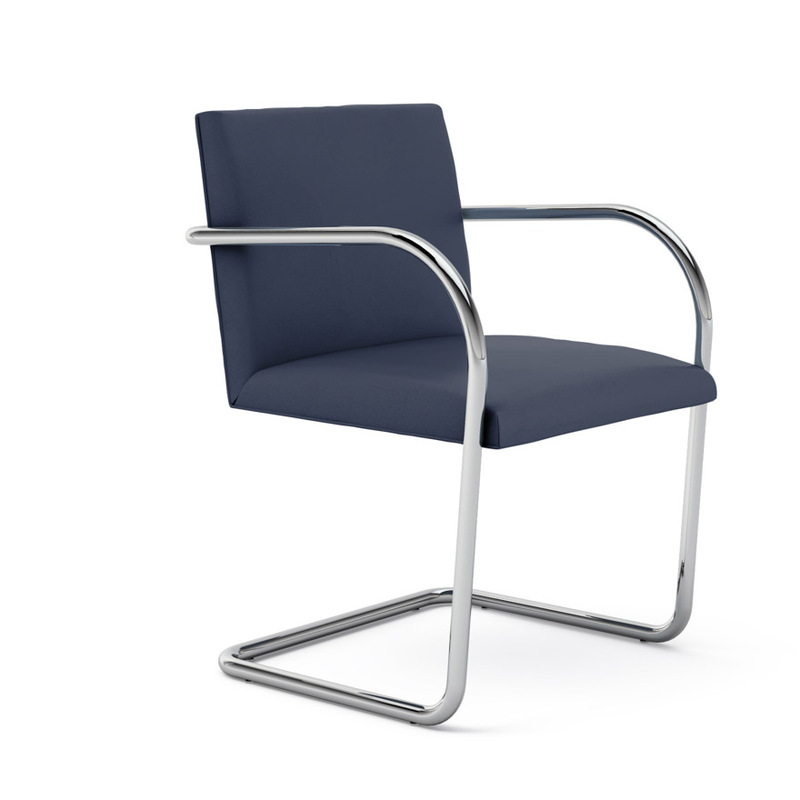 As with many of the other masters of modern furniture, Ludwig was an architect by trade. He began his career working in an interior design studio and then in an architecture studio under Peter Behrens. His talent was noted at an early age, getting his first commission for a home at the age of 20. Some of the most famous buildings of his career in Germany were the Barcelona Pavilion and the Villa Tugendhat. The Barcelona Pavilion was the German pavilion for the 1929 International Exposition in Barcelona, Spain and has been an influential building as a representative of modern architecture. “Barcelona mies v d rohe pavillon weltausstellung1999 03“. Licensed under CC BY-SA 3.0 via Wikimedia Commons. The Villa Tugendhat was commissioned by Fritz and Grete Tugendhat for their home in Brno, Chechoslovkia. They lived in the house for only 8 years before they fled the country in after the Munich Agreement. It was severely damaged at the end of World War II, and was then used for various purposes for decades after the war. In 1967, Greta Tugendhat returned to the villa with a senior architect from Mies’s Chicago studio and explained the original design to him, and a group of Czech architects began to bring the home back to its original glory. The villa was designated a World Heritage Site by UNESCO in 2001. “Villa Tugendhat-20070429” by Daniel Fišer (-df-) – Own work. Licensed under CC BY-SA 3.0 via Wikimedia Commons. Mies specified all the furnishings for both these buildings, in collaboration with interior designer Lilly Reich with whom he was in a relationship at the time. 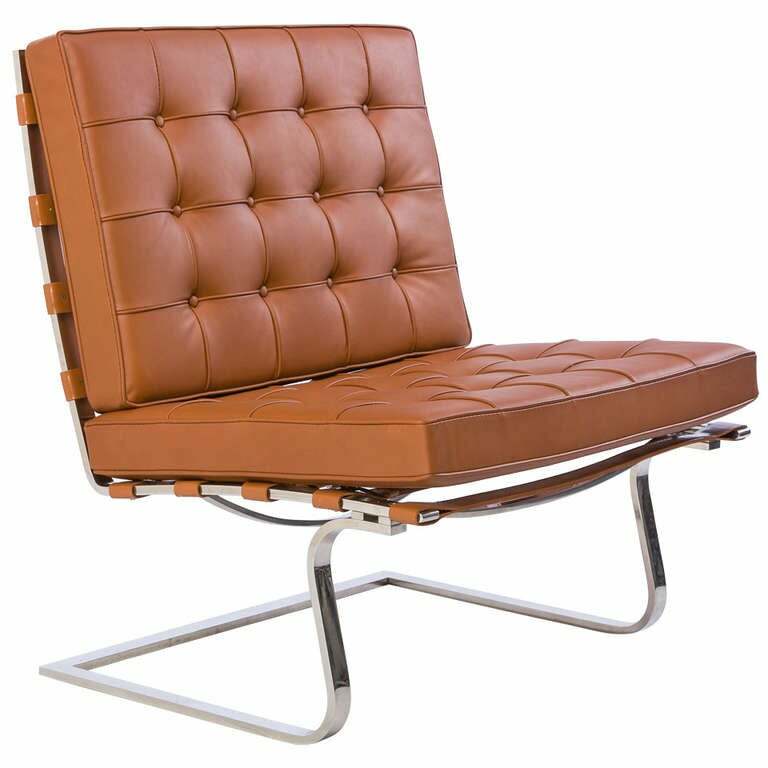 His most iconic furniture design, the Barcelona chair, which he designed with Lilly, was created as part of the Barcelona Pavilion but was first used in the Villa Tugendhat. Two more of van der Rohe’s famous armchairs (also in collaboration with Lilly Reich) were specifically designed for Villa Tugendhat; the Tugendhat chair and the Brno chair. 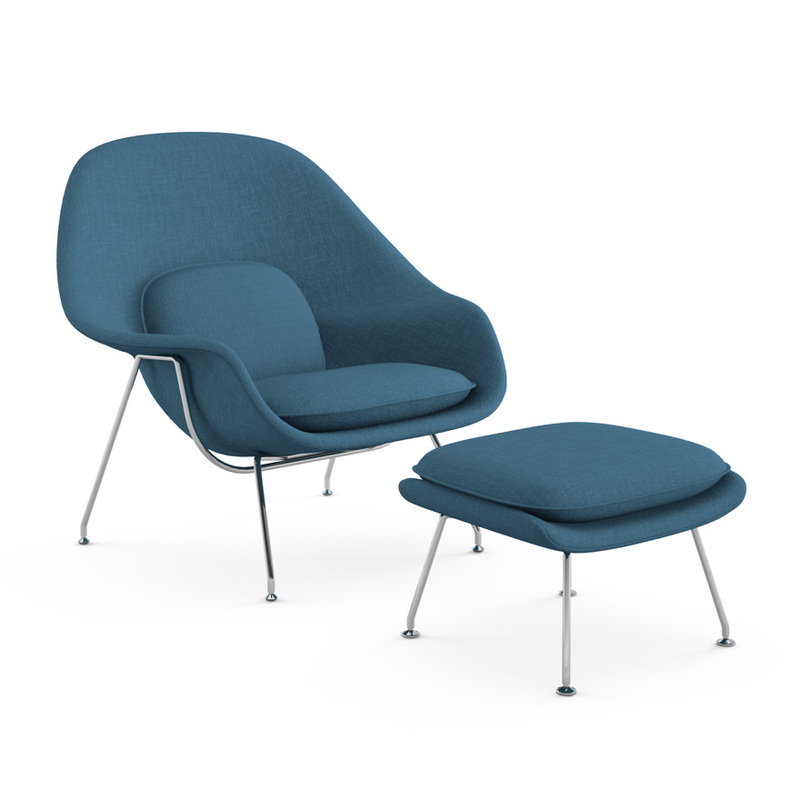 Knoll furniture now owns the rights to these 3 designs and the Barcelona and Brno chairs are still in production today, along with many knock-offs. Something else you might be interested to know is that many common quotes were coined by this design dynamo…. All these are Ludwig originals! A wordsmith and a creative genius. In general I think this masters legacy is more in buildings than furniture, but considering his furniture designs are still being sold today made me still want to include him in this series. I hope you enjoyed this little walk back in the history books. As an upholsterer, I always have my eye out for a piece of furniture with a great shape. Lately, I’m more than a little obsessed with curved sofas. 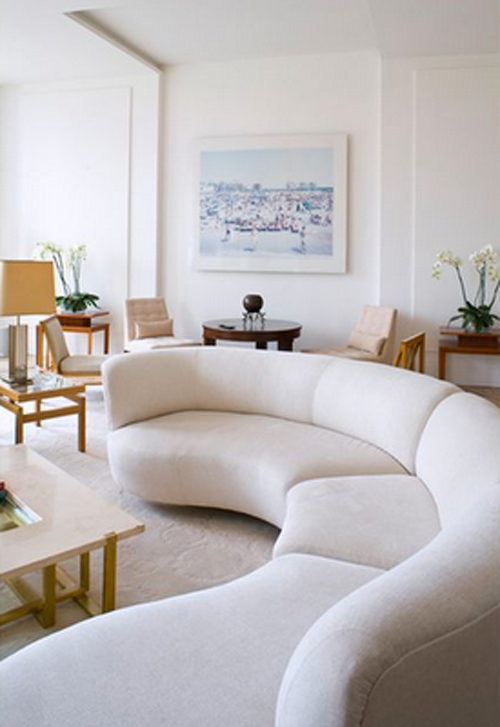 There is something about a curve in a sofa that gives the whole room a softer edge. Not to mention that there are so many beautiful ones out there! And you know how circular dining tables are often more conducive to good conversation? I’m going to bet it’s the same thing for sitting on a curved sofa. 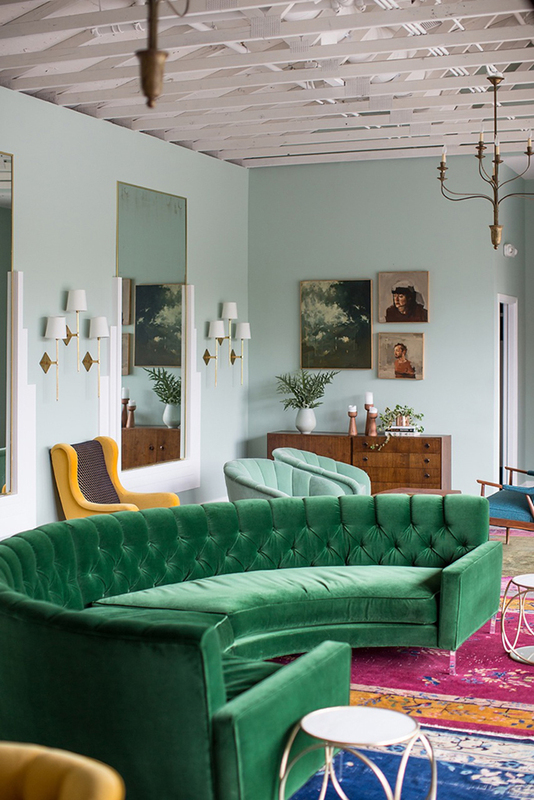 For all you traditionalists out there, I know that immediately you are thinking that curved sofas are mostly mid-century modern and retro in their design. And yes, vintage stores are packed with those beauties. 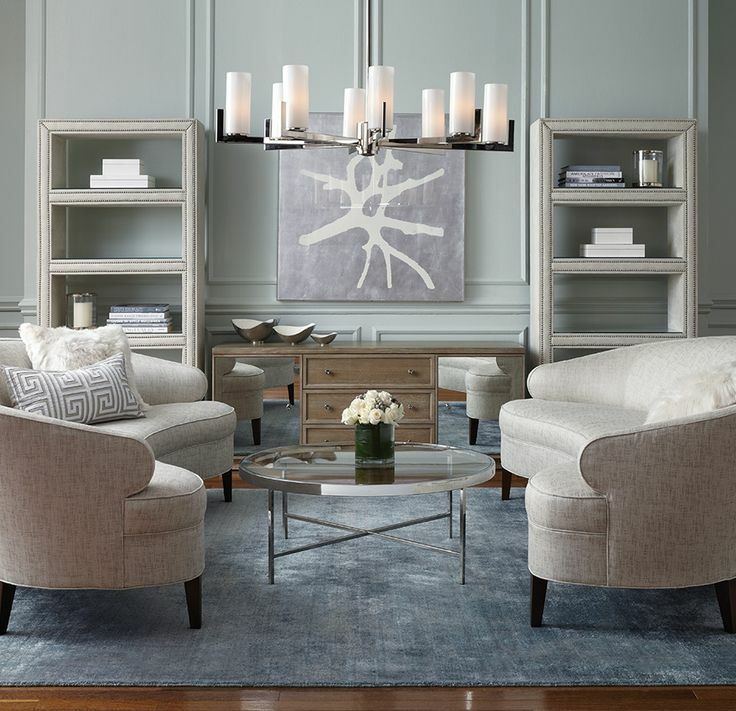 However, many contemporary furniture manufacturers like West Elm and Crate & Barrel are now carrying curved sofas, so I am starting to see them pop up more often in traditionally designed spaces. Here are some examples of curvy goodness for your Friday viewing pleasure. Sadly I don’t have space for one of these beauties but if you do, maybe you should get one so I can live vicariously through you. Have a lovely weekend! It’s been busy few days, which will continue for the next next couple of weeks. My parents are here visiting from New Brunswick and we had a full weekend of visiting relatives and getting out on the town. They leave on Thursday morning and then I fly to NYC on Thursday night until Monday night! A whirlwind week to be sure. I always prefer being busy to bored, so I’m not complaining at all. This is my parents first visit in a year. They usually come at Easter, but this year while they were en route here they got word that our town was hit with a massive flood so they had to turn back. The arrived home to 1.5 ft of water in our finished basement. This was in April, and they only just recently got everything cleaned up and renovated. My father moved his law practice to the house a few years ago (also in the basement), and the flood really forced him to re-organize and purge his space. And now that it’s re-organized, it’s much more clear that his office needs some design help. He has a HUGE old desk that takes up 3/4 of the room, and it’s definitely not going to be winning any beauty contests. There are 2 standard office chairs for clients, also pretty ugly, plus a bunch of cabinets and shelving units. I mean, it’s OK, but the space could use some TLC. First thing on the agenda would be to get a smaller more efficient desk. My dad’s style would be best described as rustic and traditional with some nautical twists. He likes furniture with a heavy sturdy look and decor inspired by the woods and the sea. A rustic masculine desk is what he’ll need….but in a size that is more appropriate for his office. So today I’ve rounded up some potential options for a new desk for my dad’s office. Half of these are definitely outside what he would spend on a desk, but I included them anyway so he can see what is available. I really like the steamer trunk desk from Restoration Hardware, and also the light and dark wood one with the metal legs from Uncommom Goods. But really, any one of these would fit the bill! They are handsome, have some storage and have a rustic feel. However, I’m going to guess he will automatically gravitate to the most expensive one….just like I always do. Today I’m sharing with you my version of the cover recipe from the August issue of Canadian Living. This month it’s another excellent summer dessert idea, blueberry cornmeal cobbler. I was lucky enough to share the creation of this recipe with my friend Jen, who also generously offered her her kitchen (which has a lot more space than mine!) for this blueberry extravaganza. It is definitely more fun to cook with someone else, and having another person makes it possible to take “action shots” while doing it. We also used Jen’s DSLR camera for the photos since I recently lost my camera and have been getting by with my iPhone. So, if the photos seem better than usual, you will know why! One new ingredient that we used as part of this recipe was almond extract. Have you ever smelled that stuff? So good. Seriously, I now want to make more recipes that have it just so I can smell it more often. This was my first cobbler. The only cobbler I’ve had any dealings with have been with the shoe kind. In fact, I was so unfamiliar with the term that when I was talking about it I kept calling it a blueberry crumble. Sure, I have heard of peach cobbler. You know, the kind you picture people in the deep south eating while sipping on mint juleps? But I’d never tried one. All this to say I really had no idea what I was making until it was made. You would think that the doughy topping would have clued me into the fact that I was making something quite unlike a crumble, but no. Regardless of what we were making, the recipe was really easy to follow with very few steps. Here is Jen anxiously awaiting the bubbling blueberry treat she sees in the oven. And It sure was pretty when we first took it out of the oven. Now to to try it…. The blueberry base was very flavourful and the cake crust was cooked perfectly. I will say, that considering I had crumble on the brain, the final result was not what I was expecting. The topping was slightly heavier and more cake-like than I thought it would be, but still good and the cornmeal added a great texture. The recipe is really easy to whip up, so would be great if you find yourself having to bring a dessert somewhere at the last minute. If you want to try out this recipe you can find it here, or pick up a copy of this month’s Canadian Living magazine. First of all, congrats to Lesley, Brandy and David winning the giveaway tickets to the National Home Show/Canada Blooms! As there were only 3 entries there was no need for a draw. I’ll be in contact with all of you to tell you how you can get your tickets! Enjoy! 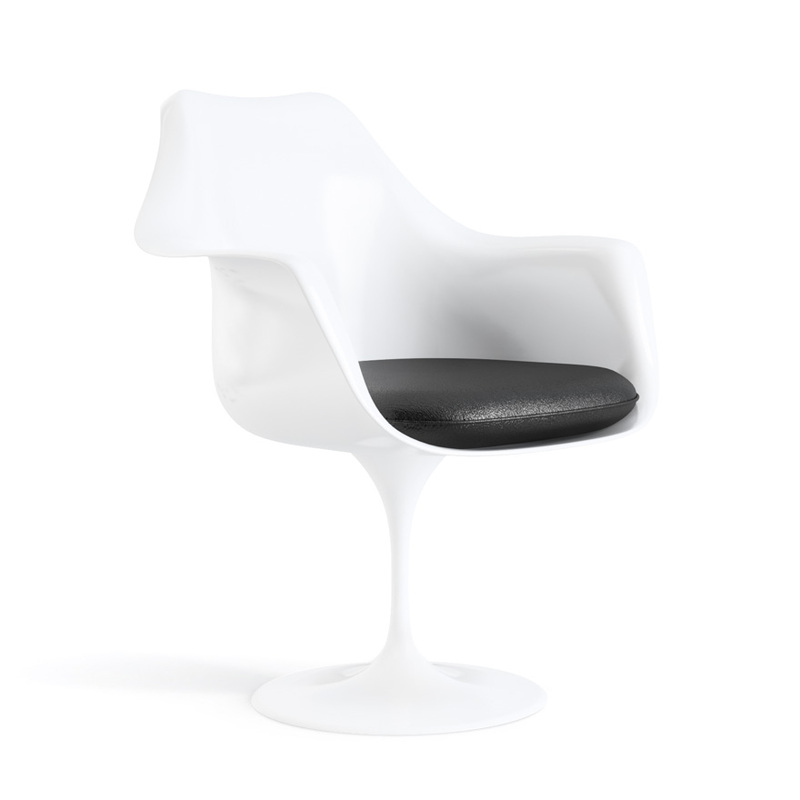 Eero was born in Finland but emigrated to the US with his father, architect Eleil Saarinen in 1923, when he was thirteen. He grew up in Bloomfield Hills, Michigan, where his father was a teacher at the Cranbrook Academy of Art where he took courses in sculpture and furniture design . 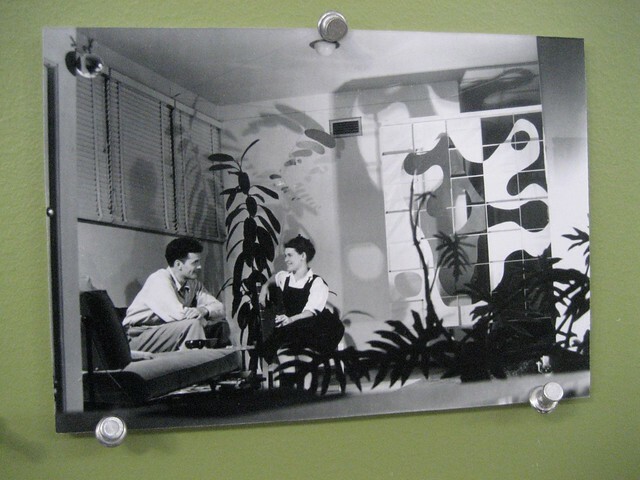 You may recall Eero from my previous post on Charles and Ray Eames whom he met at Cranbrook and where they became close friends and collaborators. After Cranbrook, Eero then studied sculpture at the Académie de la Grande Chaumière in Paris and then architecture in at Yale School of Architecture. After some traveling and spending a year in Finland, he returned to Cranbrook to work for his father and teach at the academy. 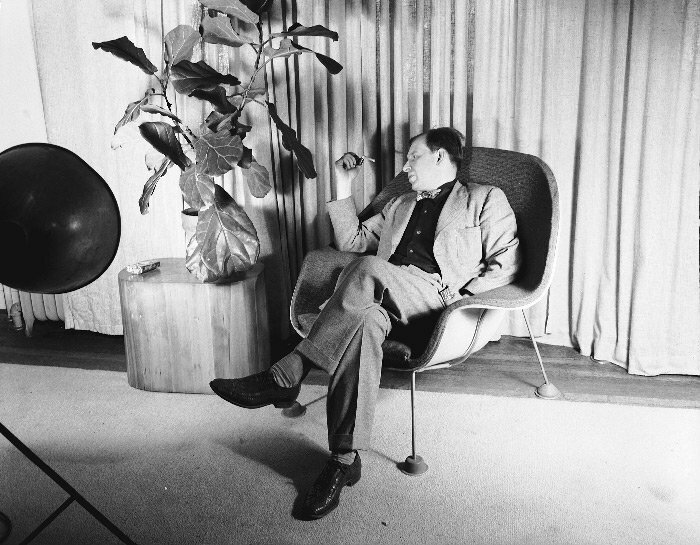 Saarinen first received critical recognition for his furniture design while working for his father, for a chair designed together with Charles Eames for the “Organic Design in Home Furnishings” competition in 1940, for which they received first prize. Saarinen was then recruited by a friend from his Yale days, to join the military service in the Office of Strategic Services (OSS). Saarinen was assigned to draw illustrations for bomb disassembly manuals and to provide designs for the Situation Room in the White House. Saarinen worked full-time for the OSS until 1944. Saarinen founded his own architecture office in 1950. 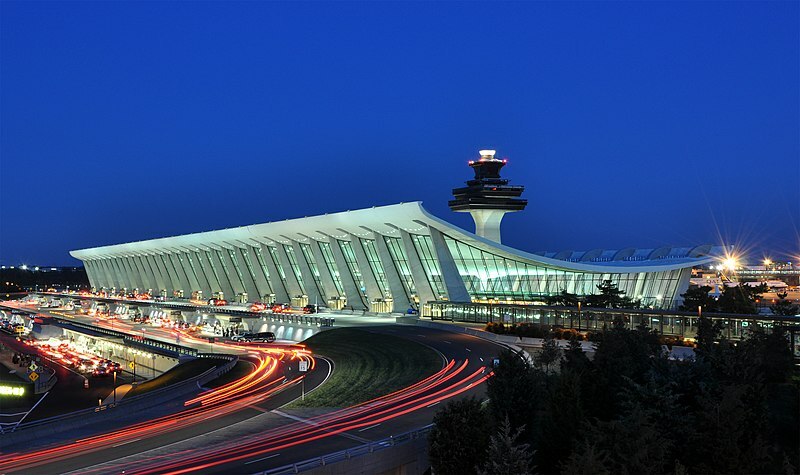 Eero is perhaps even more well-known for his architecture works including the Jefferson National Expansion Memorial (Gateway Arch) in St. Louis, Missouri, the TWA Flight Center at John F. Kennedy International Airport that he worked on with Charles J. Parise, and the main terminal of Dulles International Airport near Washington, D.C..
A running theme with these masters of furniture design is that many of them either start in architecture or move into that field at some point in their careers. Which makes sense, as these pieces often are highly architectural in nature. And I think I will need a Tulip table in my world at some point. A true classic. You can read more about Eero here and here. I do really like the look of these chairs, especially when inserted into a not so modern space. They look great, and I love the dowel legs, but I had never considered these because I find them really uncomfortable. 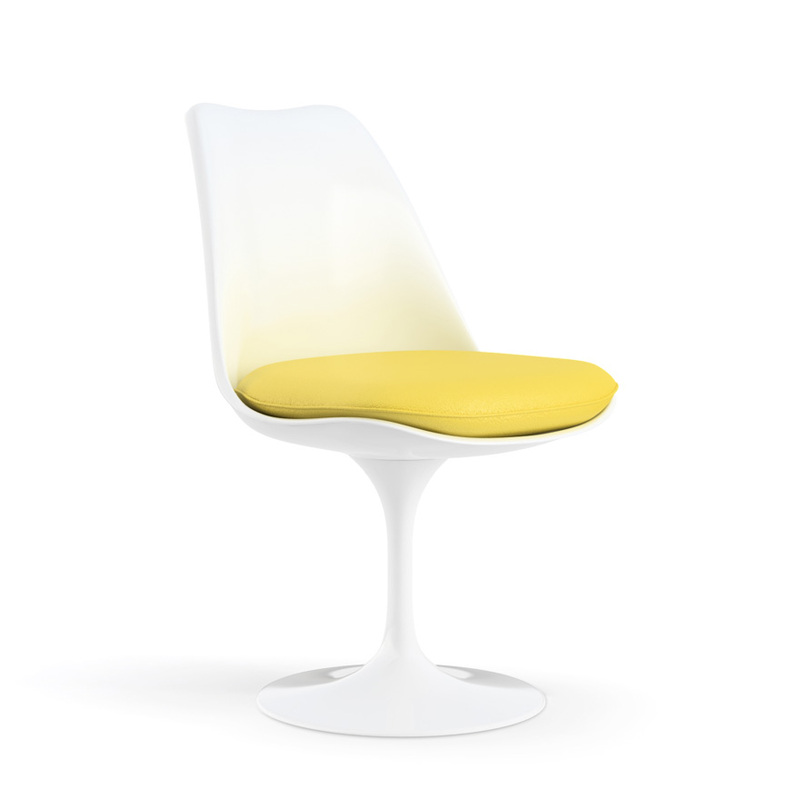 Enter the Probability Chair by Zuo Modern which is an upholstered version of the Eames DSW. I sat in this chair on the weekend and it is really comfortable! And I really like the look. I sat in this chair on the weekend and it is really comfortable! AND the price point is great coming in under $200. I have a feeling that this might be the winner in the end. What do you think? This morning I’m sharing a little IKEA coffee table hack. A few years ago I built and upholstered an ottoman/coffee table with a tufted top and storage inside for my living room. Although not shown above I normally have a lucite tray on top that I use for a hard surface. I loved this piece for quite awhile but as time has gone on it has started to wear out. There are stains on it which I haven’t been able to get out and it just looks a little worse for wear. It also has started to annoy me that it doesn’t have a larger hard surface on top. I could get a bigger tray I suppose, but I think I have just been craving a proper hard top coffee table. Also, due to my own poor design, it weighs about 1000 pounds. Ok, not that much but it’s HEAVY. I used what I had on hand when I built the frame, and the wood I had just happened to be 2×4’s, which aren’t particularly heavy on their own but clearly are when built as a frame. So the piece is a pain in the a$$ to move. When I was looking at coffee tables, I came across this Ikea coffee table makeover by the Hunted Interior and was inspired. 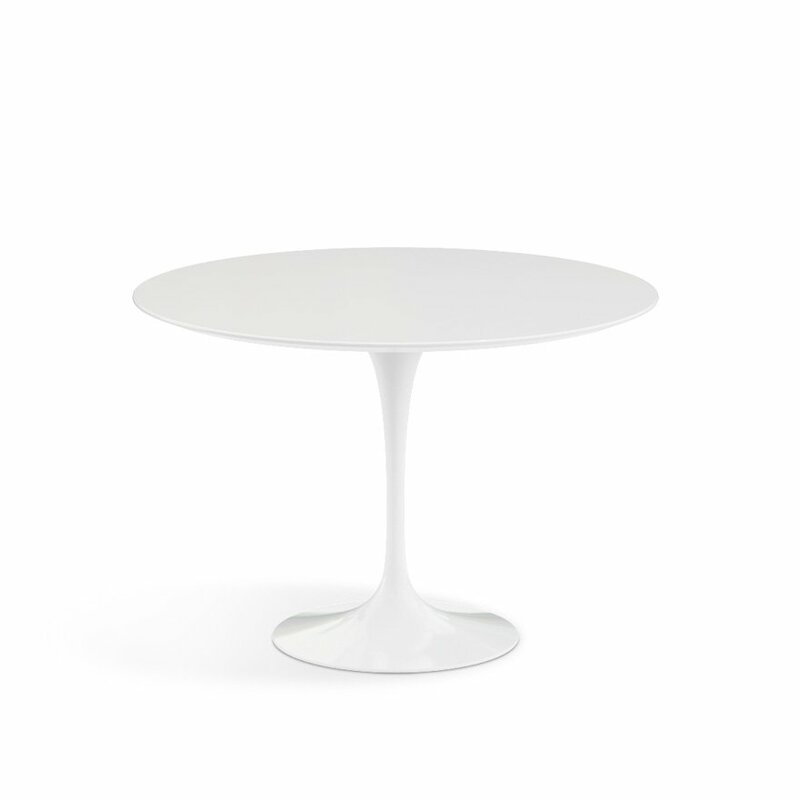 So, I went to Ikea and found this Strind coffee table for $129.00. I like the round shape and the fact that it has a second level. I’m not a fan of the wheels but I figured it was something I could replace later if I wanted too. I spray painted the metal base using Krylon Metallic Brilliant Gold paint which gives a lovely rosy gold tone which I like. I’m very happy with the result! I’m still not loving the wheels but without them it’s too low, so I’ll have to live with them for now.